This home is scheduled to begin in July of 2013. It will be built on 12th Ave in Virginia. Tina Bennett and her five year old son Michael Eftefield, are looking forward to moving into their new home next winter. Michael was born three and a half months premature, and spent four months in Children's hospital in Minneapolis, he returned home for only 4 days before spending another month in the hospital this time in Duluth. Michael is a bright young boy who can sing countless songs, count to twenty, and loves Thomas the Train. Unfortunately due to being born so premature, Michael has trouble standing and walking. Doctors believe that with therapy and practice Michael will be able to walk, but he will always tire more easily than other kids. The apartment the family is currently living in is carpeted making it difficult for Michael to use his walker and there is no room for his physical therapy equipment. 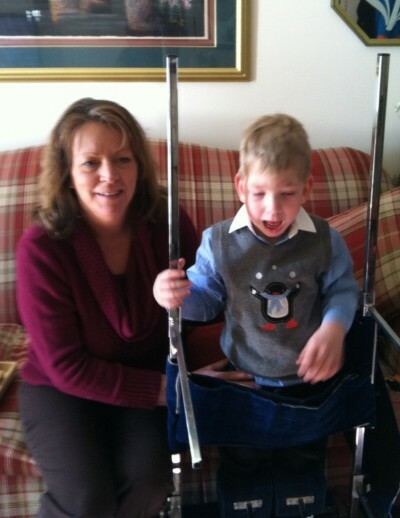 Tina is looking forward to the day when her son will be able to get around in his own home. Along with Michael's needs Tina is ready to move out of their small expensive apartment that has been riddled with problems such as a leaking door, loud neighbors, and strict parking regulations, which prevent her from parking close to the building even with a handicapped parking permit.